Ten years ago today I stood shivering in pointy-toed flats on an icy Montpellier street. I wore Wolford Adelia tights under my jeans and a cashmere wrap sweater under my beryl-blue wool coat and a wine-colored scarf around my neck and it just wasn’t enough. My clothes, which seemed posh and chic at home, felt dowdy and unsubstantial in France, and like me they were astonished by the cutting wind whipping inland off of the Mediterranean. We were in Europe for a wedding and I spent the week simultaneously enamored by and uncomfortable with everything. The groom’s sister had made chocolate mousse for dessert after a family dinner; it was the first time I’d ever eaten it outside of a restaurant and the realization that something so luxe could be made so effortlessly at home was astounding. Later I learned that she’d been making mousse since she was a child and the idea that this was a trifling little thing French children did as though it was as simple as peeling a banana — a task for which I sometimes need a knife or help, even as a full-fledged adult — all but bowled me over. I ate as much as I could without calling attention to my gluttony. Later in the evening I wrapped myself in the quilt at our chambre d’hôtes and swallowed one tablet of Pepto-Bismol after another, knowing full well that if the opportunity for more mousse presented itself tomorrow I wouldn’t have learned my lesson. I wore a dusky slate-colored draped jersey dress to the wedding and a fuzzy off-white bolero-ish sweater with a hidden hook-and-eye clasp. Before the trip I had road-tested my outfit with opaque tights and a pair of tweed-and-metal Prada heels of which I was especially fond. In Boston, my reflection looked stylish and festive, perfectly dressed for a winter wedding; in France, I looked ridiculous, a girl playing dress-up in an incomprehensible mélange of clothes. Helpfully, the hairdryer at the chambre d’hôtes had gone against its nature; rather than blowing heat out, it sucked air into itself — along with a hunk of my hair. 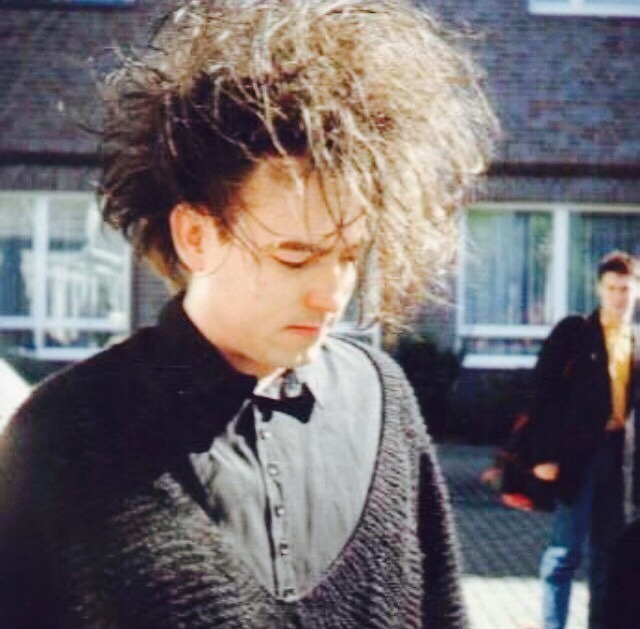 My husband of four months borrowed scissors from our host family and cut me free, leaving me looking like a second-rate Robert Smith impersonator. That said, even if I had managed to recreate the Thandie Newton curls I’d been going for, there’s no way I would’ve been able to come close to matching the natty elegance of French women. Slim and hipless gamines, curvaceous and bosomy bombshells, all of them at once elegant and louche. Each smoking cigarettes and drinking champagne and speaking in nimble quick-fire English with ridiculously cartoonish and alluring accents. Later, in the bathroom, I caught one straightening after leaning over a sink, wiping powder prettily from her nose. Part of me was aghast, the prudish American, but a larger part of me, likely my insatiable and growling gut, was jealous of her recklessness, her audacity. On New Year’s Eve we prowled the boulevards and alleyways of Montpellier, heading to a party. The streets were strung with a latticework of white lights overhead and everything was impossibly romantic. Strangers called out to one another — bonne année, bonne santé — waving bottles of champagne out of windows. In a crammed studio apartment on the top floor of a courtyard building, I sat with another ill-at-ease American. Neither of us had anything to say to the other. Eventually he pulled out a notebook and after a time I realized he was drawing pictures of penises. Dicks in coats, dicks riding bicycles, dicks eating pizzas, dicks kissing dicks. Most were uncircumcised. Two days prior, I had sat across the dinner table from this man’s mother, listening with a terror-stricken smile on my face as she genially told me how much of a disappointment he was to her. Today I took the dog for a long walk while I waited for my chicken to come out of the oven. I had crushed garlic, rosemary, sage and thyme into butter, which I’d then spread in a thick layer underneath the bird’s skin. The chicken would roast over potatoes, sunchokes and carrots; my hope was that the chicken would be generous and share its herbs and fat and seasoning with the vegetables. It’s an easy dish to make, and one that requires little effort from the cook, so the dog and I went for a really long wander, rambling through our neighborhood without a specified path. This has always been my approach to resolutions and the new year and life, really. I think obliquely about what I want, or about what I think will make me happy, but I rarely have a solid plan in place. It’s not a system that’s gotten me far, though I have accidentally stumbled upon success and a degree of prosperity by sheer happenstance and luck. I met my husband at a college I chose arbitrarily — I was waitlisted for my top pick; my second selection was in the-middle-of-nowhere Wisconsin and as a New Yorker that kind of terrified me; my “safety” school was truly a last resort option. So I chose a college in Boston that proclaimed everyone was welcome, the weirder the better. And people were weird in college. They were weird and strange and bizarre and like every other college student in America, except this group had more green hair and nose piercings. They threw parties and hooked up and smoked clove cigarettes and were pretentious and used the phrase post-modern way too much and worked hard and slacked off and were ambitious and wrote papers and missed class and had grand ideas and talked late into the night about everything and everyone and nothing and no one all in one big collective breath as though if their thoughts didn’t come out right that very second they would dissolve like the sound of a siren suddenly screaming to life and fading just as quickly into silence. Silence is something I’m familiar with. It’s easy to not say anything substantial when you don’t have a set objective, and from there it’s easy too to be a disappointment, even if you don’t spend a lot of time drawing anthropomorphized dicks. So it’s time to establish some goals, after so many years of doing a unintentionally great impersonation of a dust mote. (A loveable dust mote with decent hair and excellent eye liner, but a dust mote nonetheless.) I’m putting them out there, and trying not to think of any of you who may be reading this — no offense, but in order to write this, I can’t think of anything but honesty, and sometimes being honest means being selfish. Get healthy. I am lazy and I am fat and I am too old for this. Also, I’m tired of catching sight of my stomach reflected back at me in a floor-to-ceiling window and being both embarrassed and surprised. And I would like, for once, to choose to not to get my picture taken because I simply don’t want to, as opposed to feeling too fat to. Write something. I was going to say write more, but write something is more accurate. I have had a partially formed idea in my head for years now and it’s time for me to do something about it. It could be something truly great. It could also be something truly mediocre but considering that right now it’s truly nothing I figure there’s nothing to lose. Make bread. Yeast is scary, you guys. Not scary in a it’s-got-a-lot-of-teeth-and-is-evolutionarily-perfect like a shark, but it creeps me out. And, unlike a shark, I’m pretty sure I can conquer it. There they are. Three seems like a good number. It’s a place to start. Let’s see what I say about 2016 in ten years. * “This Will Be Our Year” by The Zombies. I don’t do resolutions. That said, I do truly promise to be better about blogging. Rainy Days + Mondays Always Get Me Down. It’s been a while, friends, but I’m back, and we have so much to catch up on. I still have to tell you about my dinner at elBulli last November, and there are some pretty exciting things coming up (here’s a hint: I renewed my passport, and sent it out to get visas), and I’m trying to turn over a new leaf… I’m going to be sharing all of these things with you, and I’m determined not to go on another three-plus month hiatus again. If you live in Boston and like seafood, go eat at Island Creek Oyster Bar. Actually, scratch that — if you live and like to eat, come to Boston and go to Island Creek Oyster Bar. If you’re still with me, order the fried oyster sliders (two per person, minimum), try one of the shell-less mussels appetizers, and get at least one glass of the Meßmer Riesling Halbtrocken 2008. Get yourself a copy of Plenty by Yotam Ottolenghi and start cooking. I leave you this, in closing. I know the title sounds depressing, but I don’t think it is at all. In fact, I highly suggest singing along as loudly as you can, ideally while driving with the windows open. My love of Ann Patchett has been well-documented on this blog, and I hate the thought of being one of those people who tell the same stories over and over so I’m not even going to get into it. What I will get into, briefly, is how thrilled I was to find that Grub Street had recently posted a link to Ms. Patchett’s keynote speech from 2009’s Muse and the Marketplace writing conference. I left last year feeling incredible, and a big part of the reason why was this speech. So give it a listen. I don’t write often enough. I like food, dogs and zombies. That last one was a gimme. It’s still true. If you’re waiting for inspiration, stop. This is an avoidance tactic, and even if it is successful all you are doing is crippling yourself. It’s amateurish and, frankly, a boring reason to not be writing*. Writers, serious ones anyway, don’t have the luxury of inspiration. They just get the work done. And yes, it is work. You may find writing fun and rewarding and many other cheering words, but when you get down to it, writing is work. It takes effort. Not a bad way at all to spend a sunny Saturday. But to get back to my original point… if you need inspiration to feel motivated, I won’t try and take it away from you. I’m just asking you to stop waiting for it. It may not come, or it may not come as often as you like, and all that’s going to happen is that you’ll find another excuse to not write, which is never going to be as interesting as anything you do write. * The boring part I’ve borrowed from my friend Monique, a writer herself. SSSSD, or Seven Short Shorts in Seven Days. About four or five years ago, my friend Marcella and I had a shared blog where we wrote about — well, we wrote about pretty much whatever we wanted. One of the brilliant ideas we had, if I do say so myself, was something we called SSSSD — Seven Short Shorts in Seven Days. For one week we posted a writing exercise on our blog; we invited our friends to participate and share their responses, which were all about five hundred words or less. Basically, it was a way to force us to write creatively and with purpose for a solid week, with the hopes of jumpstarting a daily writing habit. Unfortunately, I had a hard time beginning a writing regimen after SSSSD was over, but that didn’t stop Marcella and me from repeating the experiment a year later. And it’s not stopping me from trying again now; in fact, my friend Beth requested an SSSSD revival, so I’m kicking it off on Facebook. Each morning starting Sunday, April fourth, I’ll put up a new exercise designed to get writers thinking creatively. I’m inviting participants to post their work each day, but the goal is to write — sharing is optional. Want in? Message me on Facebook and we’ll get you signed up. No excuses though; are you really so busy that you can’t write a small piece of microfiction (or micrononfiction, as the case may be) every day for a week? After all, it’s just five hundred itty bitty words or less. So get writing with me. It’s just for seven days! Oh, and don’t forget to invite your friends — as they say, the more the merrier. An Inspirational CD for Writing. A while ago, I mentioned my renewed obsession with making mix CDs, specifically thematic ones. Well, here’s what I listen to when I need a writing pick-me-up. Let me know if you want a copy and I’ll drop it in the mail. “Freak Scene” by Dinosaur Jr.